The story of the Flare™ Windshield is featured in the recently released award-winning documentary, “Klocked: Women With Horsepower”. The Flare™ was created because of a need for stability and downforce on the Bonneville Salt Flats when Laura Klock raced the World’s Fastest Bagger, Klock Werks Discovery Channel Biker Build-Off winning bike. 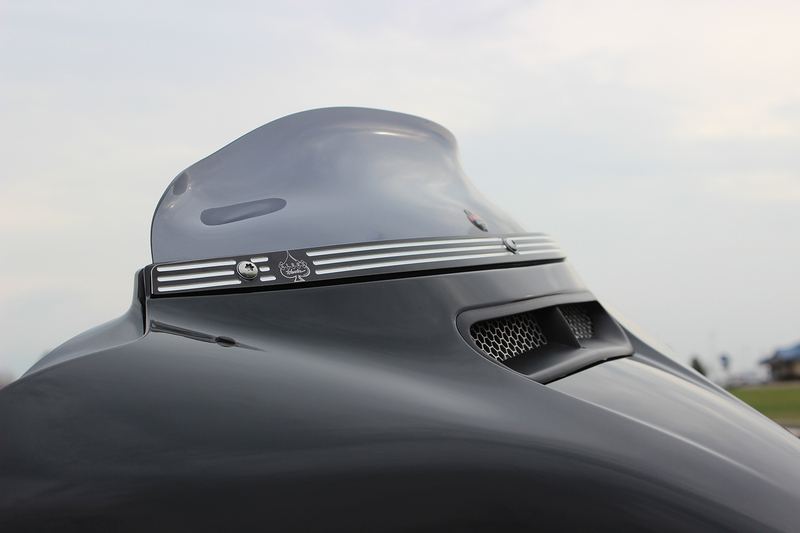 The discussion for an improved, more aerodynamic windshield began when the front end of the bagger lifted while racing across the salt. The Klock Krew developed the idea and brought it to the market. It wasn’t long before Klock Werks welcomed record sales of their new product, the Flare™ Windshield. 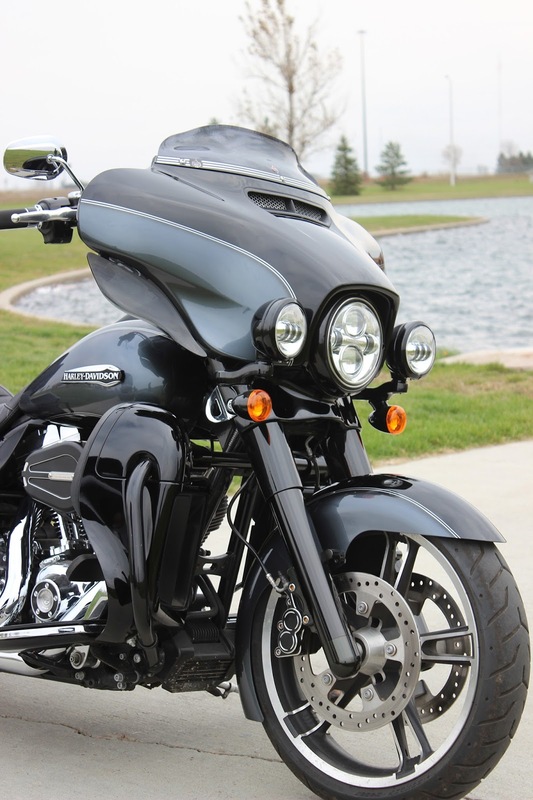 This week, Klock Werks adds a sportier, ultra low version of the in-demand Flare™: the 3.5” windshield for 2014+ FLHT models. clean pocket of air that reduces wind-buffeting. There’s no doubt that the Flare™ Windshield is a life-changing investment! Learn more about the birth of the Flare™ at getklocked.com, and view a special section of the documentary on “The Flare” page. Through the month of December, Klock Werks will ship your Flare™, and all other parts and merch offered, for free within the continental US. Go to getklocked.com, and get your Flare™ today! I love my Klock Werks windshield. Much better than looking through bugs on the stock windshield. 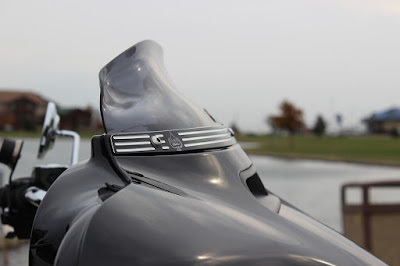 I also tried the shorty HD windshield... Buffeting. This one works great. I bought this bike used about 2 years ago (I’ve changed a lot since then...). I had the windshield before I even went and picked the bike up! I had ridden a couple of my friends’ bikes that had them on and I was sold. After a 4 hour ride home on my new-to-me baby, I took a few minutes and threw it on and went for another ride. Couldn’t believe the difference. I wear contacts so my eyes dry out real quick if I don’t have tightly fitting glasses or goggles on. With the Klock Werks Flare (mine is 8.5”), I can can wear regular sunglasses and never have an issue. The bike feels like it’s planted to the road better when hauling down the highway too. You really feel the difference over 70. I own and operate my own cycle shop and do a lot of test rides on customer’s bikes. A lot haven’t made the switch from the standard shorty windshields. I can tell the difference before I get to the first stop sign leaving the shop. I’ve had mine on my SG for 3 years now, and I wouldn’t dream of having any other shield on the market! It’s not just the looks, but the functionality and comfort of this shield is the best in the industry. If you don’t have one I would say stop wasting your money and invest in a product that works to perfection!!! The shield is amazing on my F6B. Can hear my stereo and wear a ball cap (forward) at any speed (tested up to 95mph). Thank you for a great product. Worth every penny! I love the Flare Tall windshield. I’m 6’3” tall, and in the low position, the shield delivers clean air to just above my helmet shield, with minimal low frequency noise. Much better than the short OEM shield, which buffets a little and has a quite heavy blapping noise. I can hear the music much better even in the low setting. In the high setting, I get great coverage, and very quiet air pocket to sit in without being completely blocked off from ventilation air. 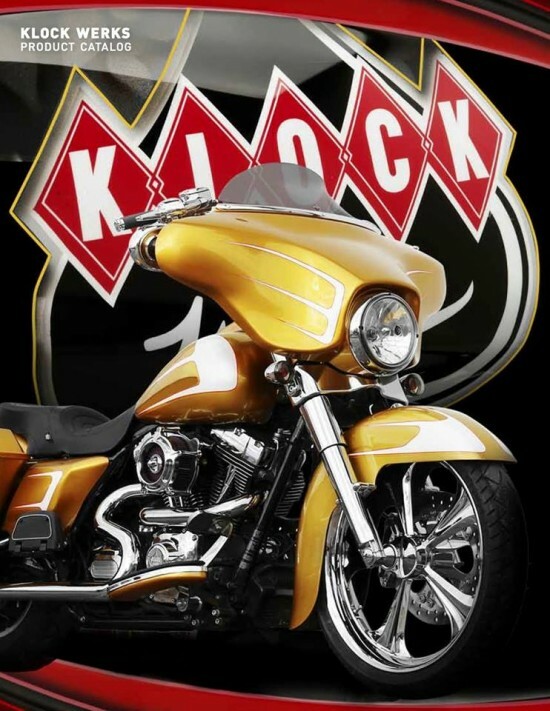 Located in Mitchell, South Dakota, Klock Werks has grown from humble beginnings to a globally recognized Brand. Achieving status as “Air Management Experts”, Klock Werks credits this to the success of the original, patented, Flare™ Windshield. Also supplying fenders, handlebars, and other motorcycle parts, Klock Werks proudly leads the industry through innovation in design and quality of materials and fitment. Team Klock Werks has been successful for years designing parts, creating custom motorcycles, and setting records on the Bonneville Salt Flats. You will find motorcycles, family, and faith at the core of Klock Werks, along with a commitment to caring for the needs of enthusiasts around the world who enjoy their products. For more information please Contact Amber Hiles at amber@getklocked.com.